Santa is making his list and checking it twice! In fact, he’s checking it so closely that he’s making two trips to West Pierce Fire & Rescue stations this month. 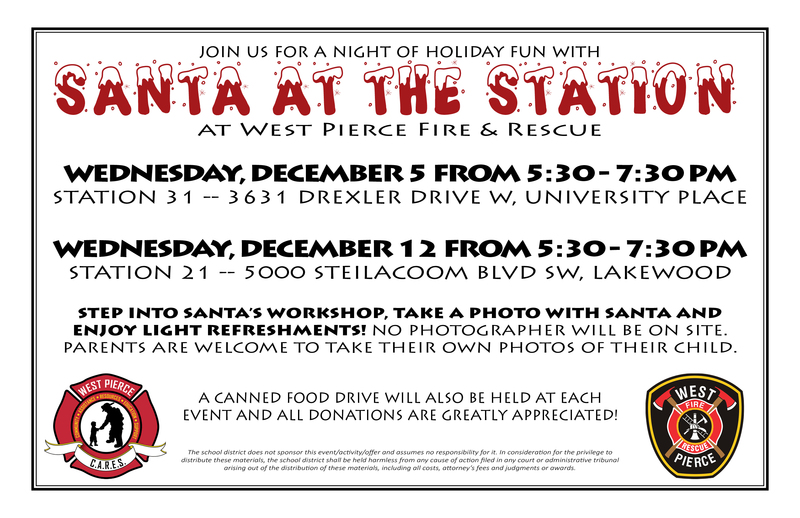 Join West Pierce, Santa and his elves for a night of holiday fun! There will no photographer on site, but parents are welcome to take their own photos of their child. A canned food drive will also be held at each event and all donations are greatly appreciated!